It seems like one of the favourite pastimes of tourist in Brazil is skipping Sao Paulo. 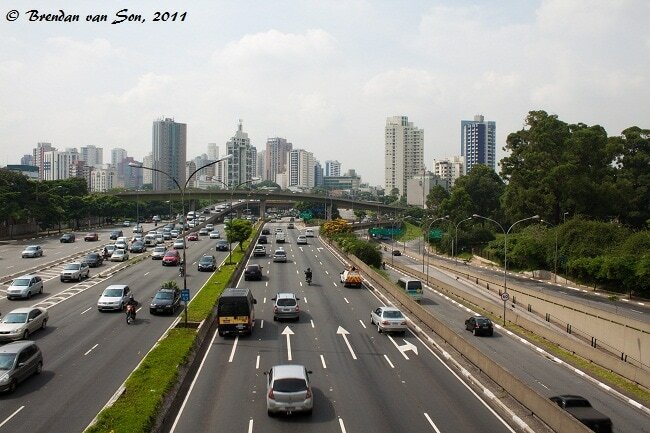 Why would anyone want to visit Sao Paulo anyway? It is really just a big city with nothing to do. It is filled with smog, traffic, pollution and crime. Also, did I mention that there’s nothing to do? Well, all of that simply isn’t true. Yes Sao Paulo lacks the natural beauty of Rio de Janeiro and the other coastal destinations, but there is plenty of things to do in Sao Paulo, and it may actually be the most cosmopolitan city in all of South America. For those of you who don’t think that there’s anything to do here, I’ve included a list of things to do in Sao Paulo. Getting from one place to another is very easy as well, as Sao Paulo has one of the most efficient and modern subways systems in South America. Buy a day pass for the Metro and move around the city to your heart’s content. If you´ve been to Sao Paulo or live in Sao Paulo and would like to add to this brief list, I would love to hear from you in the comment box and may add it to the list. Parque Ibirapuera is a huge park in the city’s south west. Throughout the day it is filled with people of all ages jogging, walking their dogs, playing soccer, or simply enjoying some fresh air and a break on a bench beside one of the ponds. To have such a large green area in the middle of the city is a blessing. There is nothing like being able to just wander through this park free of the horns honking or people pushing their way through the streets. The Afro-Brazilian Museum, located in Parque Ibirapuera is an absolute must visit. In my opinion, if you could only choose one thing to do in your time in Sao Paulo, a visit here would be the one to do. This massive museum is stuffed full of cultural artefacts depicting not only the African influence on Brazil, but the world as a whole. There are displays portraying everything from the roots of African Brazilians to Afro-Brazilian art. This museum will leave you very emotional and blown away by the beautiful cultures described. This is the Rodeo Drive of South America. The most famous designers are all represented on Oscar Freire and even just walking along this street seems to require good fashion sense. A quick glance at the people walking along would lead most to wonder if they had accidentally walked onto the runway of a leading fashion show. Whether you intend to shop, or just like people watching, spending a couple of hours wandering along this street is well worth your time. There is no true thrill like seeing a city from the top. Getting a bird’s eye view of a city adds perspective to the absolute size of a location, and when that location happens to be one of the biggest cities in the world the perspective is even more impressive. Head downtown to the Banco Santander building and take the elevator to the top (admission free) and enjoy. Try to do this right around the time the sun is setting for some incredible light. Football and Brazil are nearly synonymous words; as such a visit to this country would not be complete without revelling in this sport’s deeply seeded culture. 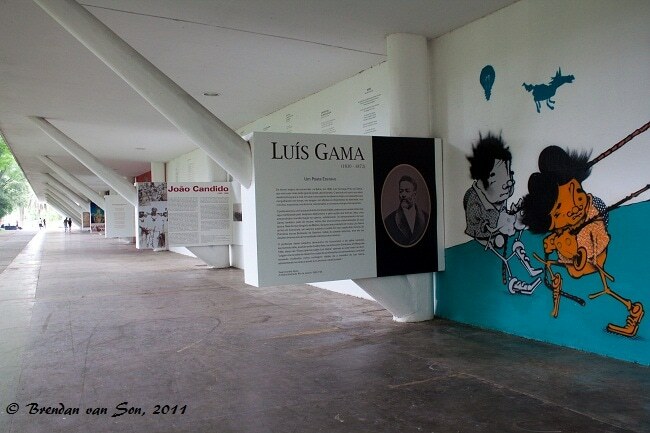 Found within the Estadio Municipal Paulo Machado de Carvalho this museum is situated in the hollows of the stadium below the bleachers. Even if you’re not a sport’s aficionado it’s hard not to get into the emotion of this place. The loud speakers play out the play-by-play announcements and on large projection screens the historical moments are played out in video. The interactive section lets visitors play videos of their choice and even shoot a soccer ball to time their velocity. I think that it goes without saying, that when it´s football season you should go and watch a match as well. Rio de Janeiro is famous for its nightlife. The area of Lapa fills on the weekends and creates a scene that is absolutely impressive. The nightlife in Sao Paulo is different but equally intriguing. Much like any large metropolitan city, like New York or Paris, the nightlife in Sao Paulo sings of style and class. People dress in their finest clothes and head out to the various bars and nightclubs which form a truly electric vibe. Although you won’t be allowed entry into any club wearing haviana sandals, like you are in Rio, you are guaranteed an interesting night out. Oh I laughed when I read your opening line. I´m skipping all of Brazil this time but hope to see it in the Fall. Hahahah, You caught me out here. I saw the opening line and was about to give you a whole spiel and some grief about being so so wrong about Sao Paulo. I love that town and get there at least once a year. When I get some time I’ll post a few places to also go to. 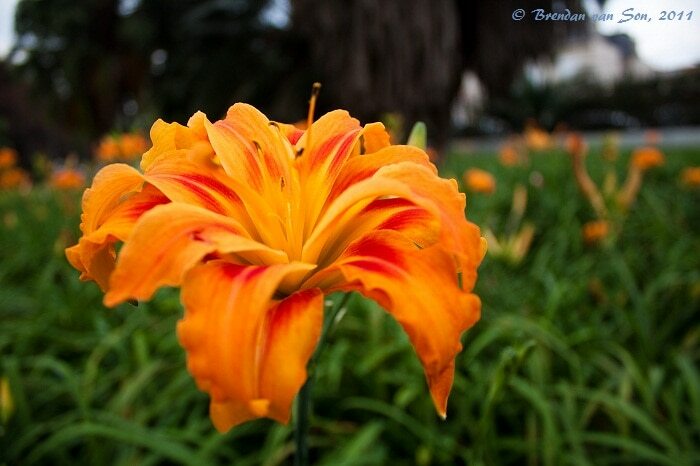 “Figueira Rubaiyat” in Jardins district, a lovely area. This post made me a little upset. I am from Sao Paulo (living abroad now) but I can tell you that Sao Paulo IS the most cosmopolitan city of South America. It is bigger than NYC and has the same quality nightlife, entertainment and the best restaurants in the continent. It is true that Sao Paulo is Like NY on steroids. Carzy, busy, pollution and not friendly. Hard to be firendly when everyone there is going for business and life is lived in a very fast pace. But let me correct first an information. Avenida Paulista is NOT the Rodeo Drive of Sao Paulo. The name of the street is Oscar Freire, where you will find the finest brands in the world and many of the brazilian designers. Sao Paulo is the South American meca for fashionistas, dozens os malls, from the Cidade Jardim with the most expensive shops of the world, to other more afordable. Theater, classic music, concerts, movie theater, art galleries, museums, clubs, bars, you name what you like to do for fun, and you will find it there. From the most laid back to the most upscale options. Sao Paulo is the place to be for any foodie! The mix of races and ethinicities make Sao Paulo a place to find whatever your wildest dreams for food are. From Japanese to German to Vietnane to anything in between you will find there! As any big city, it is necessary some research before you go there. You will find that after you know it better, you will want to come back again and again. Hey, I agree with you here so you don’t have to get upset, haha. I really loved Sao Paulo, and I want to go back when I have more time. But the truth is that soooo many tourists skip it, it’s too bad that they don’t know what they are missing isn’t it. Anyways, thanks for posting and I will make the correction for Oscar Freire thanks so much for that. Love Parque Ibirapuera! There usually are some cool exhibitions inside the Oca as well. Thanks this info really helped allot.I am off to Sao Paolo in a few days time. I guess my only stress is ensuring that I am comfortable and have sufficient cash for accomodation.I decided to opt to arrive there and find a hotel that would suit my preference.It is all in the adventure I guess.I hope to party up a storm and meet lots of fun loving people before i take on th seriousness of work in Bogata Colombia. Hey, you’ll have no time having a good time in Sao Paolo. Let me know when you arrive in Bogota because I’ll be around there in about a month’s time. I live in Sao Paulo and it is boring. If you don’t like museums or art then ur screwed. All there is to do here is eat, drink, go to the park, movies, museums, or malls which can become old fast. Especially if you’re like me looking for outdoor activities other than walking to stare at things. Also, the taxes and prices here are insane, which make it impossible to afford anything on top of the rent prices. My grocery receipt showed there is a 36% tax on food. If you go to a restaurant then you’re looking about 100 reais for 2 people. The clubs are outrageously priced. 35-40 reais to get in and then the drinks are 20+. I ordered 1 red bull and vodka ….it cost 45 reais! Jesus, Ashley. 45 Reais!! Haha. That’s why people just drink on the street in Rio.